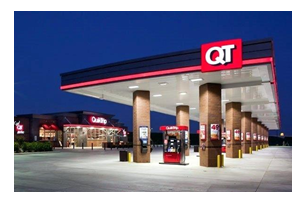 ​​​​ SAN ANTONIO AREA – QuikTrip Corp. has purchased nearly 100 acres worth at least $10 million in the San Antonio area as the company makes a major expansion into the Alamo City and Austin. Since December 2017, the Tulsa-based convenience store operator has acquired 18 lots in San Antonio and neighboring cities totaling about 98 acres, Bexar County property records show. The convenience chain plans to add about 60 stores in San Antonio and 40 in Austin with a “little speckling of stores” in between the two cities along I-35. The first San Antonio store will open October 2018. San Antonio recorded the highest population growth among U.S. cities, adding more than 24,000 residents between July 1, 2016 and July 1, 2017, according to figures released by the U.S. Census Bureau. The city now has more than 1.5 million residents. ​Check​ out San Antonio-New Braunfels Retail Market Research​.